For permanent mounting and splicing. 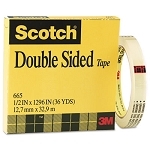 Thin, ready-to-bond, adhesive. Ideal for vellum paper. 2 mil. 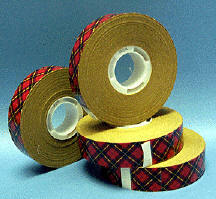 Use with Scotch® Tape Applicator ATG700 (sold separately). Holds: For Pictures/Signs. 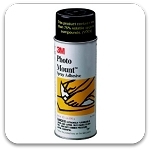 Permanent Mounting Application: Double-Sided Adhesive.